Greg Lawrence is a long-time friend of 10,000 Birds and a birding machine in the Rochester, New York, area. He is currently a Fish and Wildlife Technician with the New York State Department of Environmental Conservation and a Graduate Research Assistant at the Research Foundation for SUNY. When he reached out to ask if he could contribute a piece to 10,000 Birds about about the ethics around the current Snowy Owl irruption in the central and eastern United States we were all for it! This quote is from an anonymous birder’s comment on a Facebook post showing two birders flushing a Snowy Owl and then giving a “thumbs up.” This quote perfectly sums up the state of the Snowy Owl/birding ethics discussion. 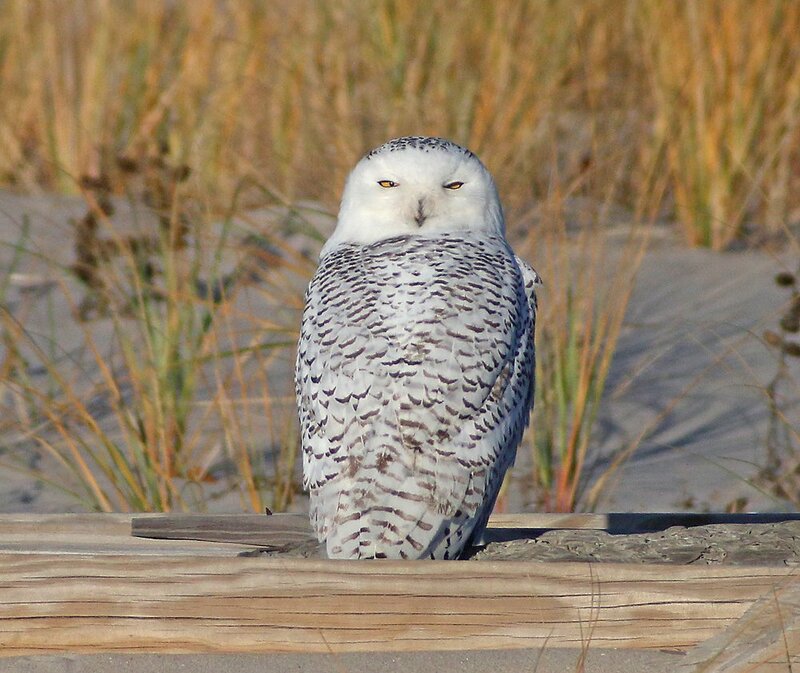 Being charismatic species, Snowy Owls are the focus of the nature-loving community during the winter. 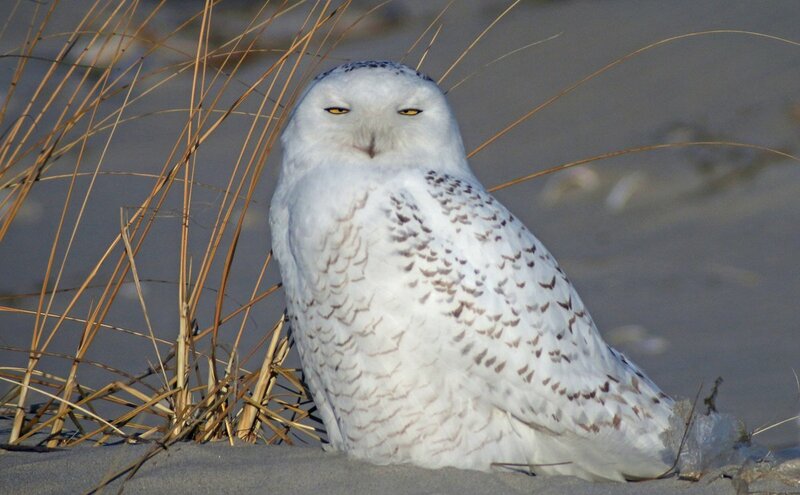 Many birders just want to see Snowy Owls, which they can do with high powered optics. However, some birders and photographers, even those toting giant lenses beyond what I can afford with my lowly graduate student stipend, must get somewhat close to get their shots. When going into the field to find Snowy Owls, a crisp and clear photo is the ultimate prize. While most photographers and birders practice ethical behavior, some push the line of how close to the bird they should (or can) get. This is what most of the controversy is about. Many of us birders, including me, are happy with a distant look, but photographers need to get good photos. As birders, we must understand that photographers have to get closer to the birds than us. A bit of understanding can go a long way, and we should not be so quick to assume the worst when birders and photographers are approaching an owl. Ultimately, all of us are enjoying and respecting the beauty of Snowy Owls. Snowy Owls have value. Species have value. The unique beauty of Snowy Owls and the euphoria seeing one provides isn’t something you can place a dollar amount on. Most arguments for conserving a species focus on things that we can measure in dollar amounts, such as ecotourism, medical benefits, etc. Ultimately, we truly care about conservation because we value a species’ existence and inherent splendor. Photographs are powerful instruments in sharing the value of species’ existence and increasing the amount of humans who value species such as Snowy Owls. Social media has become a major pathway for sharing photographs. Profile pages, photography groups, and regional birding groups are filled with Snowy Owl photos this time of year. Social media dominates so much of our lives, whether it be Facebook, Twitter, Instagram etc. It has changed the way we communicate and how we share and gather information. In the birding world, it has made sharing sightings easier. Many states and regions even use Facebook or Twitter as the primary method of sharing rare bird reports. Social media is an excellent mechanism for sharing bird sightings to a large audience. This is especially the case with Snowy Owls. Social media is also a mechanism for getting feedback. For birders and nature photographers, this includes “likes,” and comments like “great shot,” and “terrific capture.” This can also come in the form of crowdsourcing identification tips on unknown birds. While there are generally few issues in these online communities, a Facebook group recently banned Snowy Owl pictures for the winter season in an attempt to prevent photographers from flushing Snowy Owls to get better shots that would attract more likes and recognition. This change in policy resulted in some negative feedback even including outlandish comments suggesting that the Snowy Owl photo ban is “like racism.” This, coupled with the quote about not liking any more Snowy Owl photos, makes me wonder if we have forgotten why we are sharing photos and reports of these owls in the first place? As I mentioned, photographs are powerful vectors of attracting new birders and conservationists. 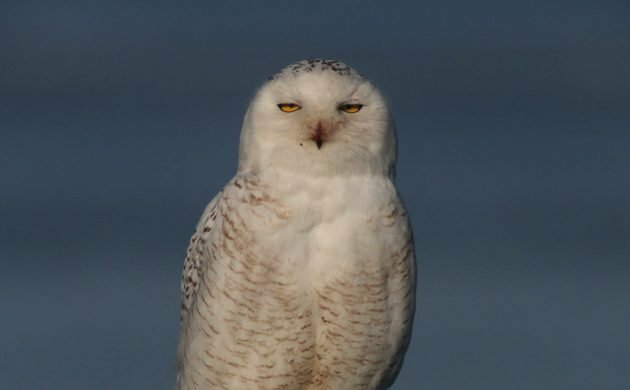 Sharing photos in groups and our profile pages can attract friends who have never seen Snowy Owls and turn them into birders, or just simply open their eyes to the value of one species’ existence. However, there is too much focus on “likes.” It is obviously great to be recognized for an exciting find or a great photo of an Owl, but when that becomes the sole reason for getting that perfect shot of a Snowy, then I’m afraid we’ve lost sight of what truly matters. It is estimated that Snowy Owl populations in North America have declined by 52% since the 1960s (Berlanga et al. 2010). Snowy Owls are at risk of getting killed via collisions, incidental poisoning from rodenticides, and even illegal hunting (Stone et al. 1999, Holt et al. 2015). In one study, collisions with cars, buildings, airplanes and other objects resulted in 66.2% of Snowy Owl deaths (Kerlinger and Lein 1988). 12.7% of deaths in the same study were from gunshot wounds (Kerlinger and Lein 1988). While we’re caught up in debates about whether we are going to continue liking Snowy Owl pictures or whether banning Snowy Owl photos is like racism (BREAKING: It’s not), Snowy Owls are out there facing real threats such as those detailed above, climate change, and habitat loss. Photographing Snowy Owls can draw in much needed attention to their conservation. Instead of getting caught up in frustration over losing a Facebook group as a place we can share photos or how many “likes” we’re going to get on a photo, maybe we should think about the bigger picture and what we can do to help species in need and increase awareness about the perils our beloved North American birds face. First and foremost, we should continue to use ethical behavior when observing and photographing owls. However, let’s think more about what we can do to share the existence of these magnificent birds. In a world where environmental conservation is increasingly under threat, it is becoming clear that we need to share the importance of the existence of species and their habitats. Berlanga, H., J. A. Kennedy, T. D. Rich, M. C. Arizmendi, C. J. Beardmore, P. J. Blancher, G. S. Butcher, A. R. Couturier, A. A. Dayer, D. W. Demarest, W. E. Easton, M. Gustafson, E. Iñigo-Elias, E. A. Krebs, A. O. Panjabi, V. Rodriguez Contreras, K. V. Rosenberg, J. M. Ruth, E. Santana Castellón, R. Ma. Vidal, and T. Will. 2010. Saving our shared birds: Partners in Flight tri-national vision for landbird conservation. Cornell Lab of Ornithology, Ithaca, New York. Holt, D. W., M. D. Larson, N. Smith, D. L. Evans, and D. F. Parmalee. 2015. Snowy Owl (Bubo scandiacus), version 2.0. In The Birds of North America (P. G. Rodewald, editor). Cornell Lab of Ornithology, Ithaca, New York. Kerlinger, P., and M. R. Lein. 1988. Causes of mortality, fat condition, and weights of wintering Snowy Owls. Journal of Field Ornithology 59: 7-12. Stone, W. B., J. C. Okoniewski, and J. R. Stedelin. 1999. Poisoning of wildlife with anticoagulant rodenticides in New York. Journal of Wildlife Diseases 35: 187-193. Great post agree with it one hundred percent. Sadly I’ve seen photographers flush snowys four times in 20 mins and throw rocks at them sad.. birders need to hide this species and all sensitive species on eBird and listserves so they aren’t harrassed daily. It is sad it has come to this. Thank you Greg. Your wonderful post hits the nail on the head. The end-game is the preservation of species in a world vastly altered by humankind (now called the “Anthropocene”). You articulated it perfectly–above and beyond any service to or valuation by us humans, all species are unique and have inherent worth. This was at the heart of the UN World Charter for Nature in 1982. Beautiful photos, top life-lists, even “ecosystem services” are secondary to one thing only–what is in the best interest of the species to ensure its evolutionary history continues unadulterated. I disagree that “photographers NEED to get closer to birds than birders do”. What a load of hogwash. Yet another snowy owl photo out of hundreds of thousands already on social media has practically zero conservation value. That’s just a lie photographers tell themselves to justify their harassment of owls and other sensitive species. Very well said article. Owls interestingly create the most interest of all birds for photographers, partially due to the reaction (and in some cases sales) they get; yet the interest doesn’t cause conservation in most cases, or even exploration of information about the species. Often the debate becomes highly emotional, because of emotional reasons: the animals that resemble us, or those that we apply a mystic totem to become personal and special. The ethics of flushing, interacting, baiting would not be an issue when photographing Starlings or Gulls. I photograph Owls up close, really close… at a Raptor Rehab place, under the guide of a professional. Its also a great place to learn about this species. There is only one path for me that leads to conservation; you love the bird, you learn about the bird, then you learn the best way to protect it.